Once a working sugar mill, Alila Yangshuo is now a modern retro resort, combining stylish simplicity, in tandem with its picturesque setting. Plan your trip in advance to enjoy savings on your stay. Rate includes breakfast and more. The Flexible Rate allows free cancellation and amendments. Rate includes daily breakfast and more. No credit card is required to secure your booking & enjoy free cancellation. Immerse in the history of the Sugar Mill, from its glorious past to its present-day incarnation. Rate includes 2-night stay with breakfast, Sugar Mill tour, dinner, painting class, traditional sugar making and more. Challenge yourself in this extreme sport that’s both exhilarating and all consuming! Rate includes 2-night stay with breakfast, picnic, dinner, karst climbing experience, foot massage and more. Escape with your loved one on a journey that will capture your heart in an intimate atmosphere. Rate includes 2-night stay with breakfast, dinner, private bamboo rafting, Spa Alila couple retreat and more. 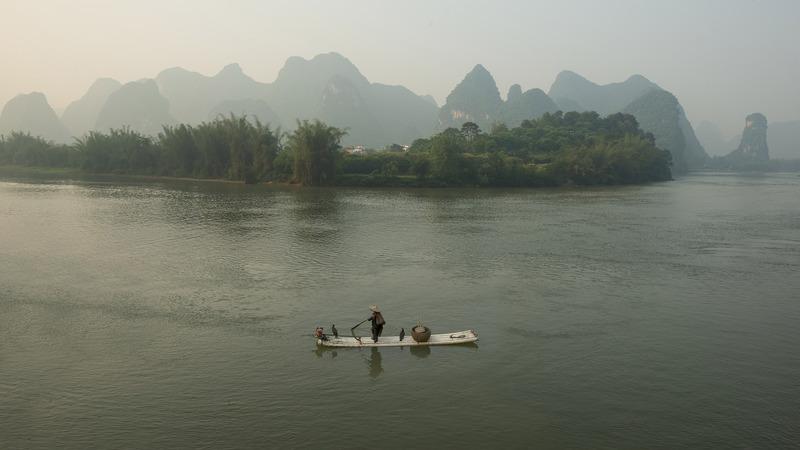 Renowned as a paradise on Earth, Yangshuo is famous for its landscape of karst mountains, green hills and winding rivers, resembling a beautiful Chinese painting. 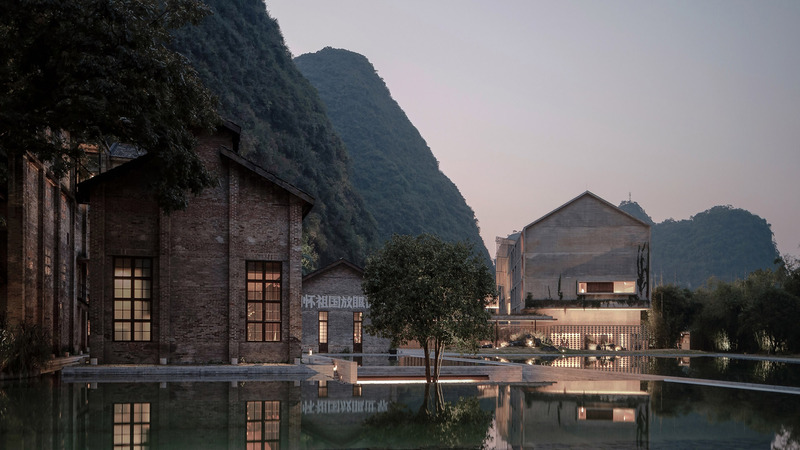 Designed by Dong Gong of Vector Architects, with interiors by award-winning Ju Bin of Horizontal Space Design, the vision for Alila Yangshuo is to integrate the new with the old, paying homage to the unique history of these heritage buildings. Wind down your day with an outdoor movie viewing. Set against a gorgeous natural backdrop of uplit peaks, movies are shown nightly. 1969 Bar is located in the old Pressing Room, merging original building features with modern industrial design and an in-house rum distillery, making this the new version of ‘cool’ in Yangshuo. Free your imagination. Channel your creativity into the artistic painting of a canvas recycled bag using natural pigments. A talented artist will teach you basic painting skills. A great time lies ahead with these fun and funky activities! Pursue your passion or experience something new in our yoga/Tai Chi classes. Yoga/Tai chi classes is conducted by professional instructors who will share their in-depth knowledge. Yangshuo’s dramatic karst landscape comprises a myriad landforms and features, making this a world-class hiking and climbing destination. Once a sugar factory constructed in 1969, Alila Yangshuo is now a unique resort combining heritage buildings and avant-garde contemporary architecture. At Alila Yangshuo, modern elegance, historical timelessness and the splendour of nature unite to bear witness to your eternal love. Discover fresh inspiration in Alila Yangshuo’s creative indoor and outdoor meeting spaces. Experience a modern, fashionable fusion of local tastes and seasonal farm-to-table produce. One of the coolest spaces for socialising in Yangshuo, 1969 Bar features a modern sunken bar and its own rum distillery. A private restaurant close to Li River, one of facilities of old sugar mill. In the cavernous sanctuary of Spa Alila, experience uniquely relaxing treatments that combine Balinese wellness traditions with local black sugar.